I finished my exams (yay!) and as a reward, I got myself the Elder Scrolls Online for the Xbox One. It has been lying around for weeks, but I told myself I couldn't play it until the exams were over, because otherwise.. Well, let's just say I wouldn't have been studying very much. So, without further ado, let me totally convince you about the awesomeness of this game. When they announced ESO, I was not excited and even kind of angry. The last couple of years, so many game developers have jumped on the cool-wagon, and forgot about the real fans who want games to stay true to themselves. An example of this is Fable, that has been trying out new things with Fable: The Journey and the upcoming Fable Legends, when really, players just want Fable 4. 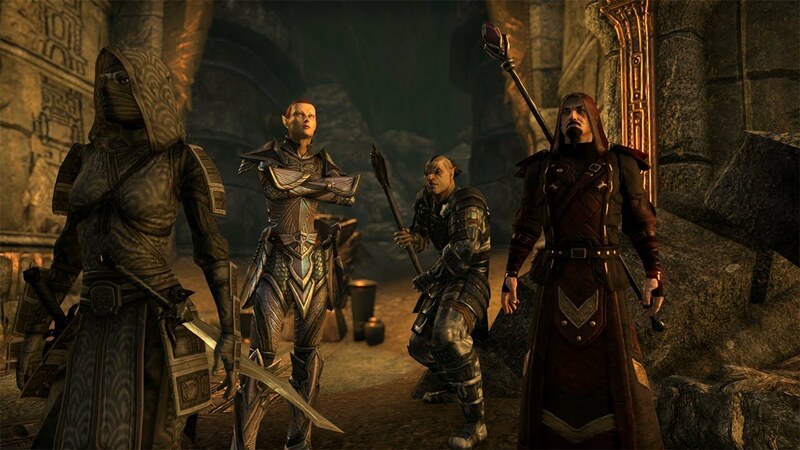 I love Morrowind, Oblivion and Skyrim so much, and reading about ESO really upset me. I didn't want to play it (and also, I couldn't, because I didn't have the proper console/PC). Grump Grump. Almost two years after it's release, I got the game. When I turned it on, I felt a little anxious. 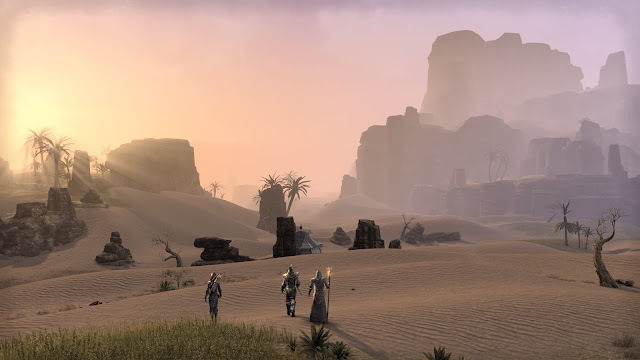 I've played an MMO before (Star Wars: The Old Republic), but it felt sort of weird to play a combination of an MMO and the world of Tamriel which I've come to know and love in single-player mode. But once I got past the tutorial and entered the world, I was just stunned. I was on a beach, looking at a sunset, with a huge world to explore ahead of me. And that is the Elder Scrolls experience. Every now and then you see another player running around, but so far (and I've played a lot already) I haven't had to group up with anyone yet, and it has just been a single-player experience. Of course, if you enjoy teaming up, you totally can! 2. The world is huge. And by huge, I mean HUGE. 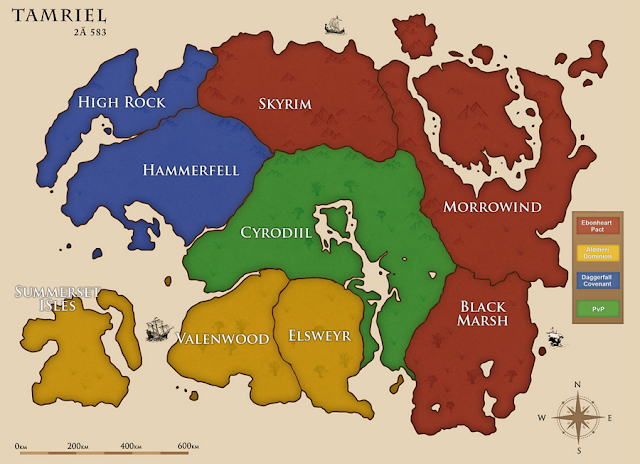 You cannot explore the entire continent of Tamriel, but you can explore many different areas. 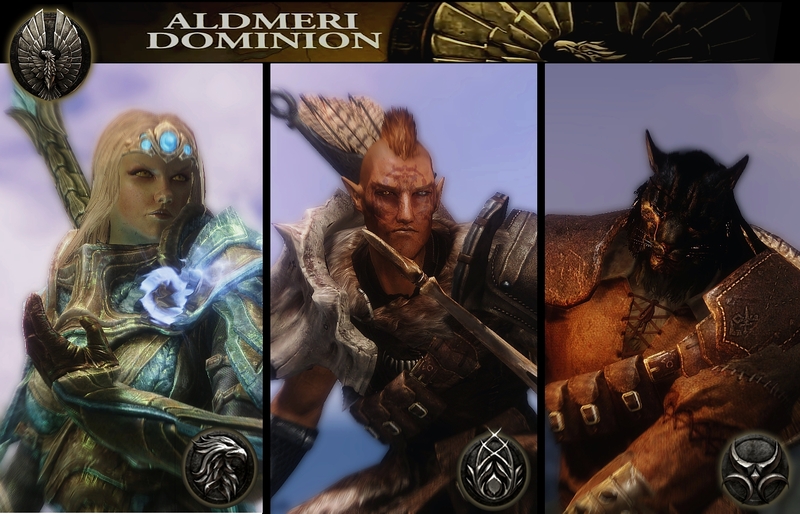 The story of the game contains a war between three factions: The Aldmeri Dominion, The Ebonheart Pact and The Daggerfall Covenant. At the beginning of the game, you have to choose which faction you will join, which will determine where your game begins. Races are faction-bound, unless you have the Explorer Pack DLC. 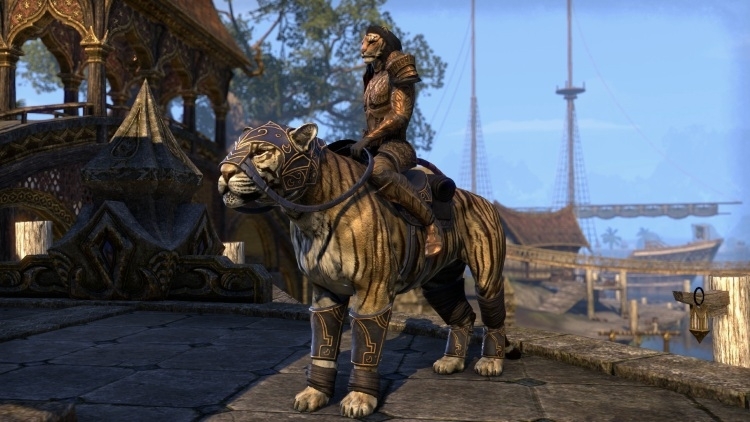 If you choose the Aldmeri Dominion (playing as a Khajiit, Bosmer of Altmer), you will begin on an island of the Summerset Isles, and later explore an island off the coast of Elsweyr as well as large parts of Valenwood. 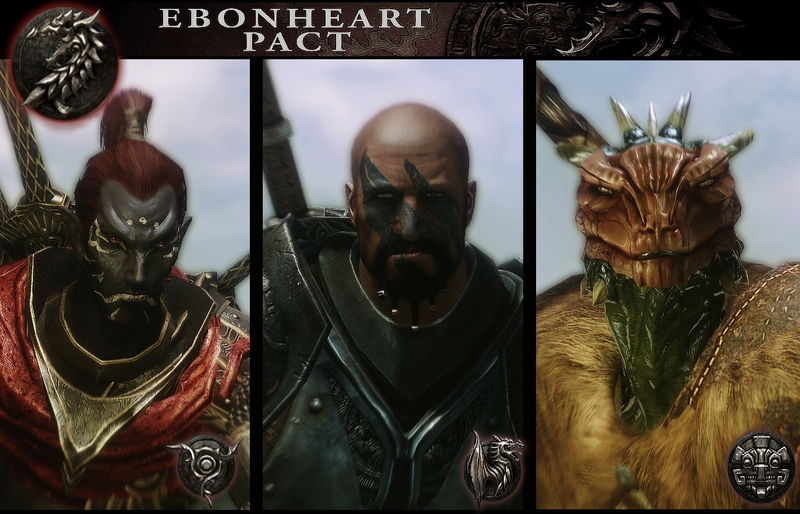 If you join the Ebonheart pact (as a Dunmer, Nord or Argonian) you start out in the southern part of Morrowind and will get to explore the south-east of Skyrim as well as a part of the Black Marsh. When joining the Daggerfall Covenant (as a Redguard, Orc or Breton) you will start out in High Rock and then continue to explore Hammerfell. 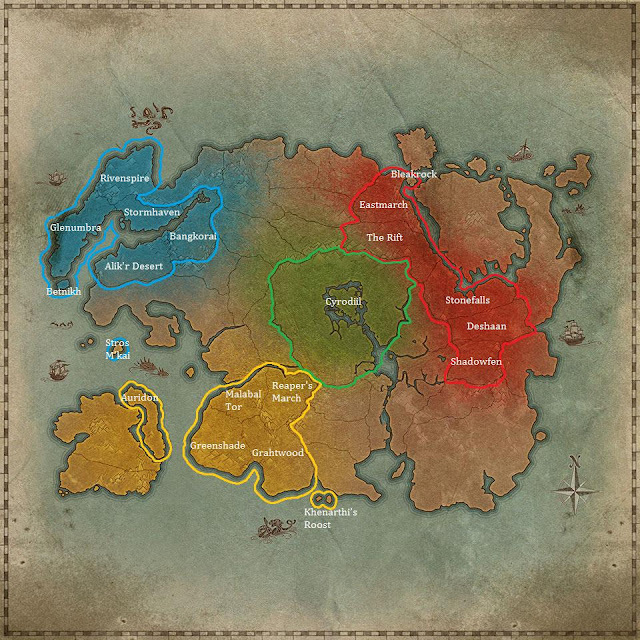 Lastly, Cyrodiil is still 'up for grabs' as all three factions try to claim it. 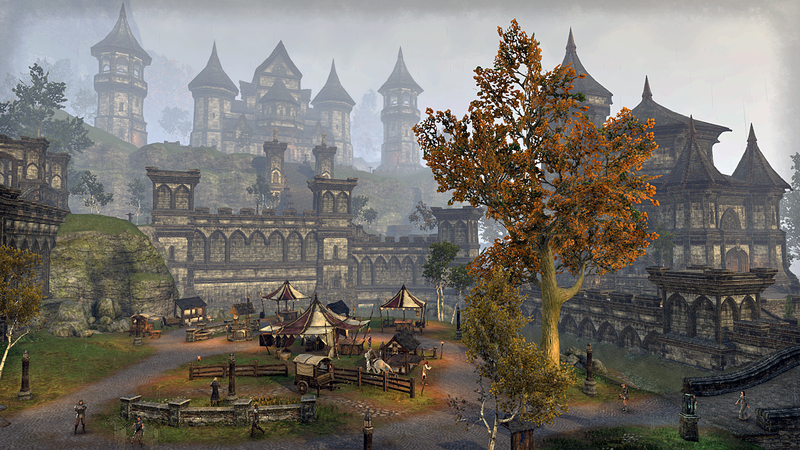 Cyrodiil is a PVP (player-vs-player) area, mostly for high level characters (level 50+). For people who don't know how an MMO works, this means that other players can't attack you unless you are in Cyrodiil. Others are only there to help you out, not to stab you in the back and loot your stuff. A little side note: you cannot just start running around and exploring everything. 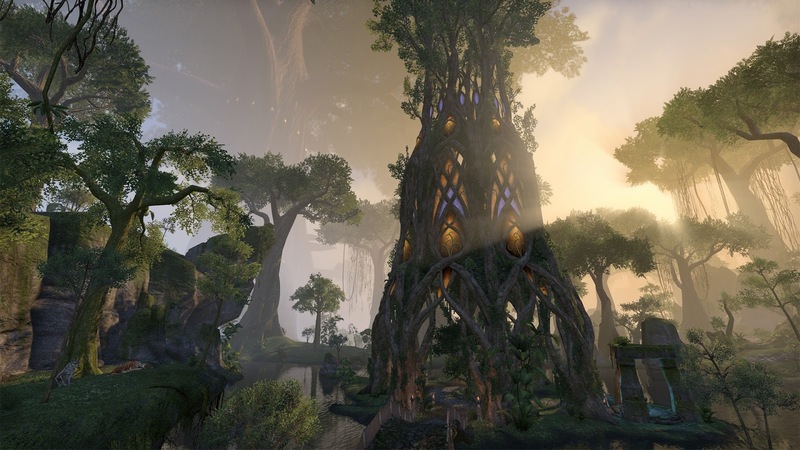 If you choose the Aldmeri Dominion and start out in Auridon, you can't just take the boat to Stros M'kai or run all the way up to Shadowfen. As you leave your starting zone (and get closer to Cyrodiil), enemies will get stronger and stronger. If you try to speed up the exploring process, you will end up dead in an instant. In order to unlock the other faction's areas (which for players of that faction are easy, but you will be placed in an 'alternate' world in which the enemies are really tough), you have to be around level 46+, so you will need to be patient. But in a way, it just adds to my excitement. There is enough to explore in your own zone, and the reward of someday being able to travel everywhere just works as a great motivation for me. So far we've seen the awesome landscapes of Morrowind, the romantic medieval landscape of Cyrodiil and the cold and harsh world of Skyrim. (Sorry for not counting the older games, I've never played them!) 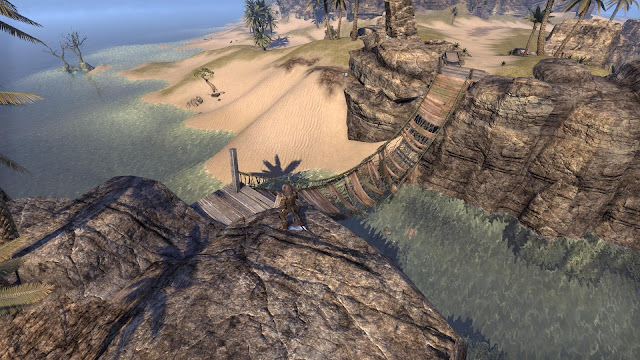 I love how ESO lets you explore entirely different areas. 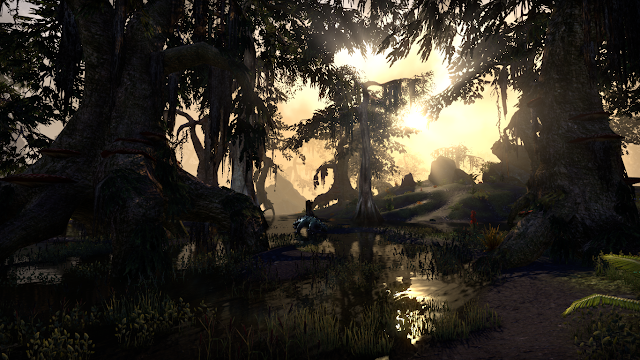 I joined the Aldmeri dominion, because I was so curious to see the tropical south. It's really amazing! The nature, culture and architecture in this game are so versatile! If you see a log, cut it for wood and craft it into a bow. If you see a pretty flower, pluck it and make a potion out of it. If you see stirring in the water, fish for food. If you find a barrel full of jasmine, take it with you and brew some tea. Exploring has been raised to another level! Even though previous games also had such possibilities, they seem to have been expanded for ESO. Almost everything you encounter can be interacted with. There are over 61 million items in this game. There are 40.656.000 different weapon variations. It includes 10.202 NPC's. There are 2235 unique books, which would take about 32 hours to read. I mean, come on!! That's awesome, right? Add the DLC stuff to that and you've got an endless amount of fun ahead of you. There are also so many animals (like monkeys, birds, snakes...) who aren't aggressive at all, which feels so much more realistic. You can also unlock dyes to change the colour of your armor, which I adore (pink armor for the win! ), and aside from mounts (like horses), you can get a pet which follows you around all the time (and can't die), yay! Armor also contains belts and shoulder pads, which I have really missed since playing Morrowind! 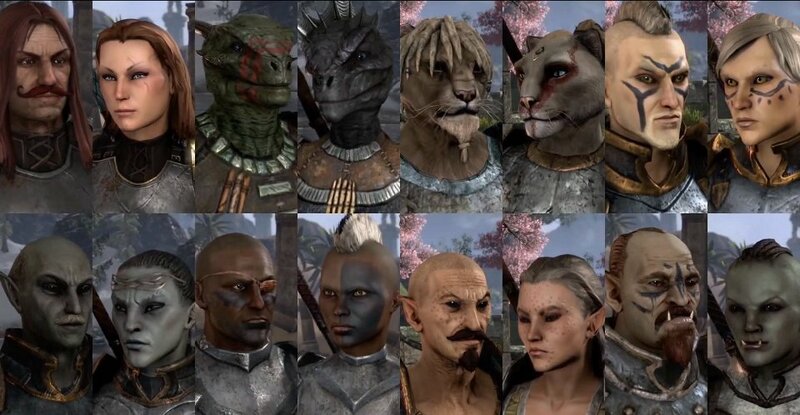 I though character creation would be kind of limited, but it isn't! You can make your character look like a fearsome warrior full of scars, or a smooth pretty person with a tiara, it's up to you! 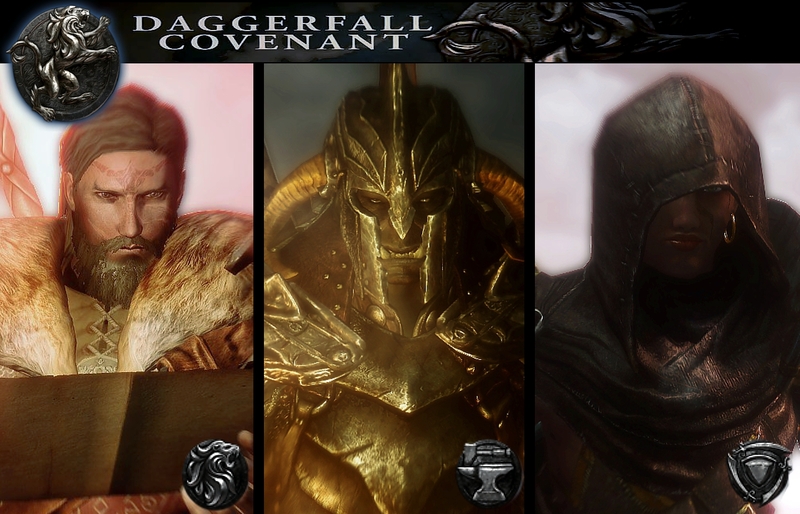 As for class and skills, you can choose from four classes: the Dragonknight who is a strong fighter who deals lots of fire damage, the Nightblade with stealthy goodness (guess which one I chose...), the Sorcerer who creates thunderrr and lightniiing and the Templar who uses the power of the sun to burn enemies and who is also good at defense and healing. Every class can wield any weapon, but they will have distinctive skills and abilities. If you want to know more about the classes, please google them. I'm such a stealth geek that I haven't really looked into the other classes yet, so I can't help you out there! The game keeps expanding and improving all the time. It came out in April 2014, and about two weeks from today they will release another DLC (downloadable content) with the Thieves Guild, yay!! New players keep popping up every day, so the game is still very much alive and kicking. Okay you're convinced! Go get it! If you're playing on an Xbox One, let me know your Gamertag and we can explore the world together. Unless you're not with the Dominion. FOR THE QUEEN! So after seeing The Force Awakens three times in the cinema, we start fantasising about the next films. Obviously, we want to know how the story continues in Episode VIII, but that won't happen until may 2018 (about 500 days from today). However! We will be seeing the first anthology film Rogue One this year, and after that we'll be treated with a movie that focuses on a young Han Solo. Now, finding a young actor worthy to fill mister Ford's shoes is not an easy task. A lot of actors have been auditioning for the part, but it seems like no one has been cast so far. In comes Anthony Ingruber! He is just a normal guy who does impressions on youtube. A while ago, he did this Han Solo impression and holy cow he is Han Solo! He even looks like him and has the acting skills! How cool would it be if they cast him? You can actually sign the petition here. It's still very small, but who knows? I am currently studying for my exams, and afterwards will start working on our music BIG TIME. But, before we go into that wonderful phase, I'd like to write a little beauty post. 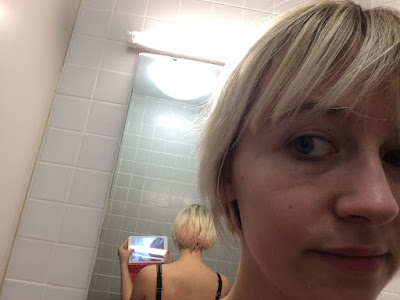 We haven't been doing these for a while, but I'd like to write this one for the following reason: Every time I want to experiment with my hair, I google as much as I can on it before I get started. I research the product and try to find as many blog posts and reviews that include pictures and a personal testimony as I can. 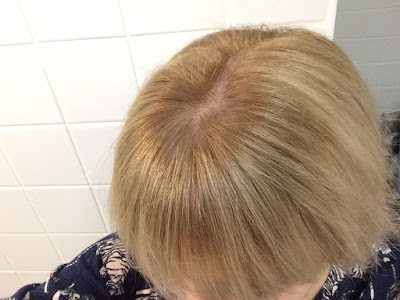 Still, when I read these blogs and forums, I often discover that a lot of people don't really understand how hair dye works, especially with blonde hair. 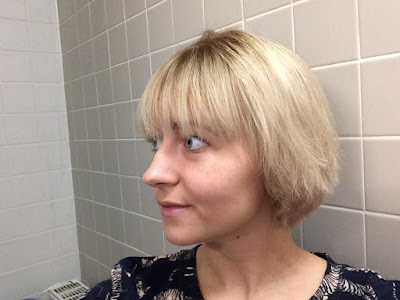 So, a little Blonde dye 101! If you googled information about HEMA products and already know a lot about how hair dye works, just scroll down to number 5! 1. 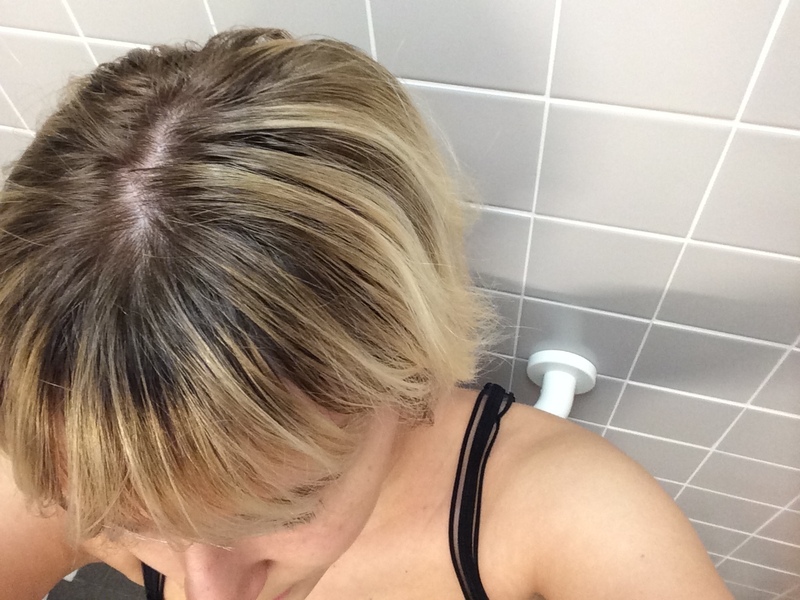 Bleach is not the same as blonde dye! There is a big difference between bleach and blonde dye. All bleach does is draw colour out of your hair. It makes your hair lighter. That's it. Blonde dye is a colour you apply on top of your existing colour. Often, the two go together. You bleach your hair first and then apply a tint of blonde on top of it. This is what creates the difference between ash blonde, honey blonde, golden blonde etc. So, when you have brown hair and buy a 'do it yourself' package of blonde hair, beware that it usually does not contain bleach and will not lighten your hair. Bleach needs to be combined with a developer that comes in several varieties of strength, known as volumes. 10 vol being the slowest and gentlest and 40 vol being the fastest and strongest. The thing is, you can often get your hair to a nice platinum white with just a 10 vol, it just takes more time. But honestly, I'd rather be at the salon for four hours and have shiny hair, than to be finished after 30 minutes but have straw on my head. As you can see when you buy a DIY hair dye package at the store, hair dye also comes with a 'developer' which can be described as "the peroxide or oxidizing component tot the chemistry of colour." It neutralizes your natural colour to make place for the new colour you are adding on top of that. You see, like ink on paper, dye needs to sink into the hair. The developer makes sure it can crawl all the way to the core of your hair. The things is (as I've said above): the developer that comes with a box of hair dye will not considerably lighten your hair. It will make room for the new colour, but don't expect any miracles. Developer is not the same as bleach, it is combined with bleach or dye. 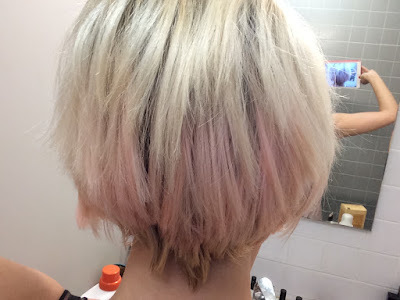 When you use a semi-permanent dye, it doesn't mean it will totally wash out after a couple of weeks. It will seriously fade over time, but never really disappear completely. Consider this, especially if you're planning on using a red or a dark brown/black colour. Ever hear your hairdressers having conversations like "I used a 9/03 and added a secondary 6/0" while thinking "What language is this??" Well, those numbers mean something, and they can also be found on all 'do it yourself' packages you can buy at the general store. Very exceptionally you will see an 11 or a 12, which stands for super or ultra light, like platinum or white blonde. The second number(s) stand for the tint or hue of your hair. Okay, so now you have an idea of how this system works. Now, over to the experiment! For the first phase (going from the freaky ombre to blonde) I went to the salon. I almost never go there anymore, but I'm glad that I did. It was super complicated to get the Directions dye out and also, I wanted an ombre effect which isn't easy to achieve by yourself. So if you're going for something like that: go to the salon. Also, if your hair is really dark and/or long, go to a salon the first time!! Really, bleach is expensive, there's no point in bleaching long hair at home. Okay, so: I went to the HEMA because I loved their red dye and my sister and I both enjoy their brown dyes as well. The quality is fine and it is the cheapest hair dye I have come across so far (less than 7 euros!). When it came to choosing a colour, I decided to ignore the awful looking packaging. The hair on the cover has an icky bright yellow colour. (Seriously, who gets paid to make this?) What did I look at? You guessed correctly: the numbers! I wanted a natural looking light blonde with a warm tint to it. So I went for 9/03. The basic colour/lightness being a 9 (very light blonde), the secondary colour being 'natural' and last but not least the finishing tint to be gold. 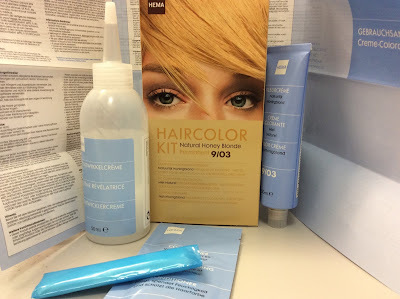 The box was named 'Natural Honey Blonde' by HEMA. Once I got home, I applied the stuff all over my hair. I chose to do this, because it softened the ombre look by making the upper part of my hair slightly warmer and more blonde. They always say 'use a brush' and everything, but honestly, I never do that. With the Directions dye I did, but I just don't feel like it's necessary when going from blonde to blonde. I left it in for 30 minutes and washed it out. The result is really good! It covered up almost all of the pink and softened out the ombre. My hair feels a little dry, but considering the hell I've been putting it through all these years, it's a wonder I still have hair, right? Nothing a good mask can't fix. And by mask, I just mean: throw a raw egg over your head, that'll work magic. 6. Hair is not healthy or unhealthy. It's dead. If I ever hear one more girl going "My hair is so unhealthy lately" I might just kill myself. Hair is dead. Once it comes out of your head, it no longer 'lives' just like your nails. Your hair can be strong and shiny, or thin and frizzy, but not healthy. Think of it as silk fabric. If you take good care of it, it will be soft and beautiful, but it'll still be a dead carpet, right? Okay! So now you should have a general idea about hair dye and how to dye your hair blonde. Enjoy the pictures, and I really hope this helped you! If you ever have any questions, just comment below. All these pictures were taken in the same room, under the same light, and no effects have been added whatsoever! Is your hair a little too orange? Use a toner. A toner is like a super mild dye that you use to maintain or slightly change/improve your colour. If you have blonde hair, you can use a purple toner (or just a silver shampoo) to neutralise the yellowness of your hair. 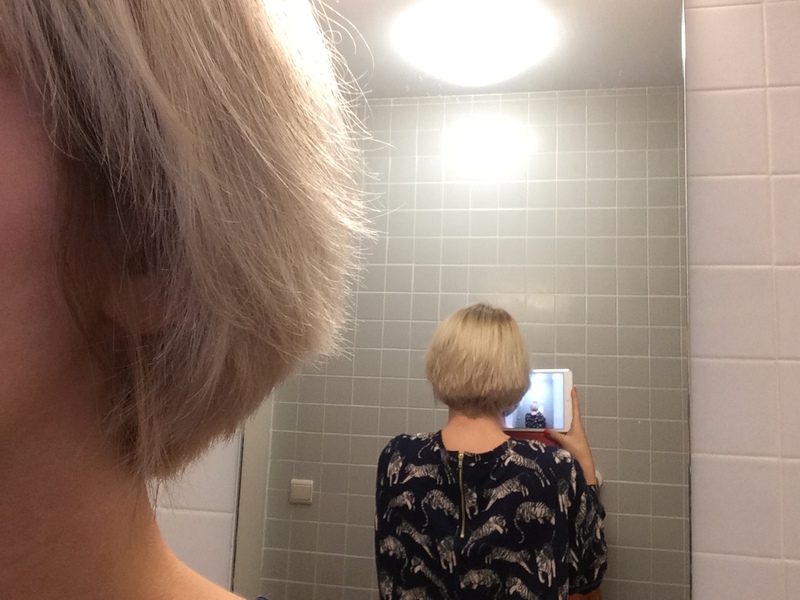 If you want platinum white hair, or need a good base for pastel colours: toner is your best friend. Silver shampoo can be bought at the salon, or really cheaply at Kruidvat! You can also get a silver toner from Directions. Before: light blonde lenghts with 'ratty' pink parts at the back, and a natural looking ombre effect at the top. After: a less-obvious ombre op top with golden blonde lengths and hardly any pink left! Before we finish, keep the following things in mind: first of all, my hair has only just been washed and blowdried as well. That's why it looks so ridiculously fluffy, it's not the dye's fault! Secondly: the blonde dye will fade eventually (every time I wash it, dye will come out) and since I have lighter hair underneath it, it will gradually become lighter again. However, if you use the same dye a couple of times in a row (for instane once a month) it will wash out less and less. 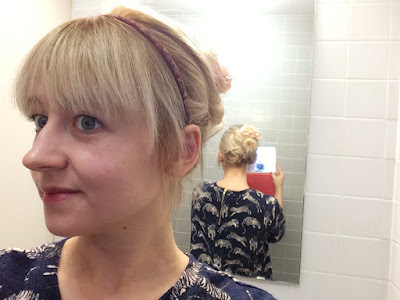 I have to add though, that the thing at the top is a flower and not some weird poufy piece of hair, and also, I used some fake hair to make the bun, because my hair is still too damn short! But all in all, the picture gives a good idea of the results. Still, keep in mind that my camera makes everything look a little artificially yellow/grey. In real life, it's really golden and much prettier!